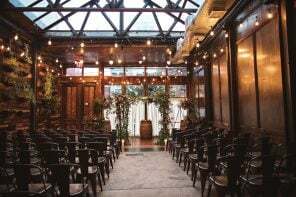 Average base cost for a Green Building wedding is calculated by figuring a 125-person guest list on a Saturday night using their regular season rental fees and an average catering cost of $150/pp. Transportation to venue, entertainment, additional decorations, DJ, and photography are not included. Average price includes gratuity and state sales tax. Price is rounded up to the nearest thousand. 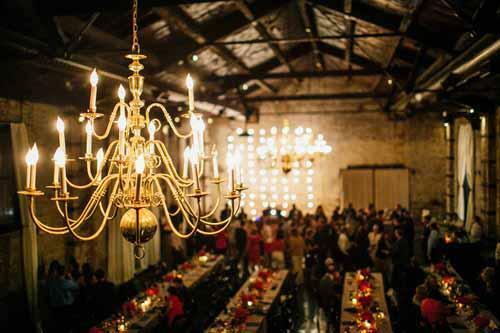 A Private Events Manager from contract signing until the day-of your event; this person will be present for all appointments, can assist with room layout, timeline, vendor selection, and more. They will also be on location the day of your event to greet your vendors and assist them in settling in. Nighttime manager who is present for the duration of your event to ensure the building stays in tip-top shape throughout the evening. Front of the house manager who can assist with coats and gifts, hand out programs, and call car services. Food and Beverage: While you are able to bring in your own caterer, The Green Building does work with an in-house food/beverage partner, Purslane. Important Note: While the Green Building allows you to work with any vendor you like, they do work exclusively with Broadway Rentals for any outside event rentals. Bridal Suite: Yes, many couples (or brides) use the Private Lounge area. Bathrooms: Four (4) individual, unisex bathrooms, one of which is fully wheelchair-accessible. Parking: Street parking is available and local valet services can be arranged. How Will Grandma Get There? The Green Building is located 9 miles away from Grand Central terminal in Gowanus, Brooklyn. 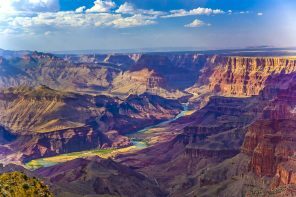 Since out-of-town guests will most likely want to stay in the city, I would recommend arranging a car service or shuttle in lieu of valet (though that is always an option). Party On! Events can rage on until 2 a.m. Hooray! The Green Building was built in 1889 and was used primarily as a brass foundry until 1987 (in fact, most of the brass made in the building was used to make gambling tables in the casinos in Atlantic City). 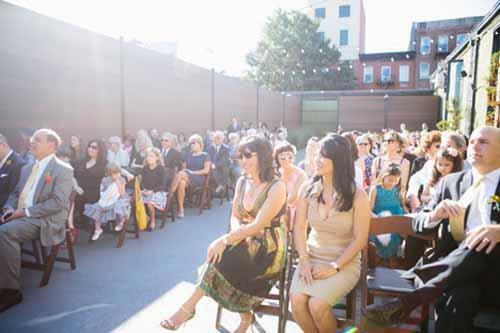 The building was acquired and renovated in 2008 by Akiva Reich & Co. and is now used as not only a wedding venue but event space and film location. Some venues just make me swoon, and this is one of them. 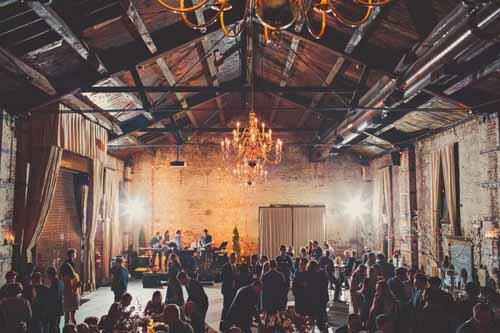 It’s an amazing space and the packages they offer are simple and well-put together (a venue after my own heart!). 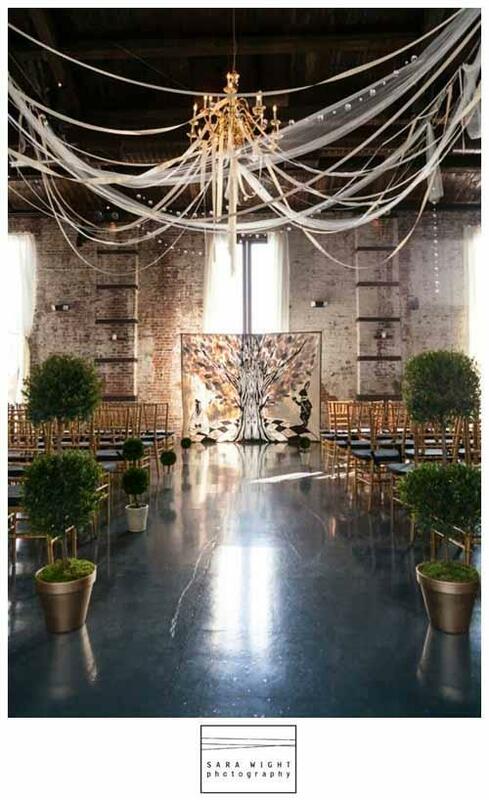 If I could have my own wedding venue, this is definitely the direction I would go. 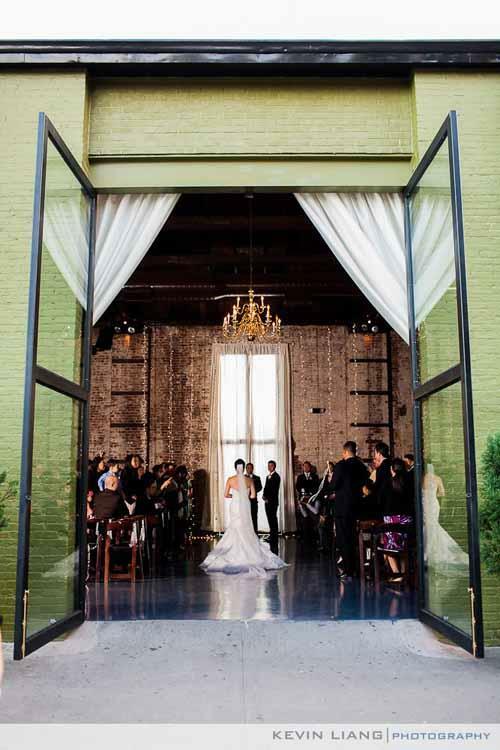 It’s got a great outside area (perfect for a wedding ceremony or cocktail hour) and the inside is industrial enough that you could leave it alone, or you could choose to completely transform the space. While the rental fee is not the most inexpensive, it’s definitely not out of line with what’s in the area and you can save money by bringing in your own caterer. I also think you’re getting a lot in terms of layout and look. If you are interested in having your wedding here I would definitely plan on getting married at least a year out if you want a Saturday wedding (if not longer). Thanks for writing in, Katie! That stinks about the wait! Plan on booking more like a year and a half in advance. It’s July now, and their Saturdays are booked through November of next year. I also swoon over The Green Building, but it’s quite a wait. Hi Jordan! Thanks so much for writing in. I will e-mail you directly. I look forward to checking out your venue! My name is Jordan and i represent The Bell House in Brooklyn, NY. I was browsing your wedding venues and as far as i can see we are not listed. I was wondering how we would go about getting ourselves posted on your webpage? You have a easy interface and descriptive amenities and detail page, that i would gladly help with any information you require.